One of my cousin, Hoover’s favourite places in Washington is the Washington Monument. This monument was made in honour of George Washington, the first president of the United States. Hoover wanted to climb the monument and check the view from the top but Mom said she didn’t want to climb 897 steps in the 100 degree heat. We later found out that visitors can also take an elevator. 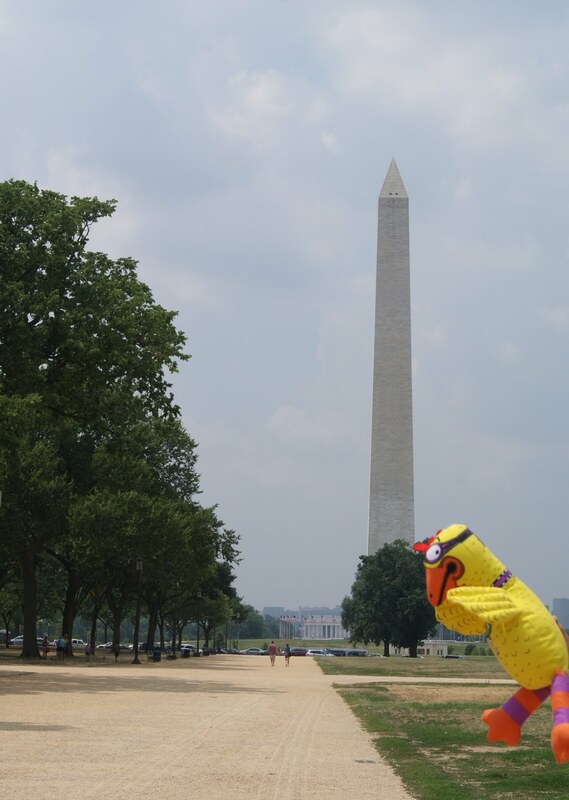 There are so many interesting things to know about the Washington Monument. Click the link and you can get some really cool facts. Just remember, whether you walk, take the elevator or fly, you do need to order timed tickets in advance. On this visit, Hoover and I admired the monument from below but there is always next time…. Hoover enjoyed showing Washington’s sights to me, Mom, her friend and the kids. One of our favourite places was the Smithsonian National Zoological park. Mom liked the fact that it's free to get into. Hoover and I loved the bird house. I took a great picture of Hoover on the eagle statue by the bird house. Many of the animals were hiding or sleeping because it was so hot outside, but there were many active animals in the indoor exhibits. Check and see if the Pandas are up on the Panda cam. We loved the reptiles in the Reptile House. Did you know that evolutionwise, reptiles are related to us birds? Maybe that's why I have such scaley feet. Mom thought the Meerkats...you know, the ones that look like Timone from Lion King, were really cute. With it being so hot, the kids loved the misters that were located around the zoo. The mists of water sure helped to cool us down. I'll be telling you more about our trip to Washington this week, so keep checking my site. I’m not the only bird in our family home. I live with a Quaker Parrot named Kirby. Quaker Parrots like Kirby are also called Quaker Parakeets, Monk Parakeets or Grey-Breasted Parakeets. Quakers are usually green with a pale grey chest, throat, cheeks and forehead but some of Kirby’s friends are blue or yellow. When living with pet humans, Quakers usually learn to talk,laugh and even sing. Quaker Parrots originally came from Brazil, Uruguay and Argentina in South America but like me, they are prone to travel. 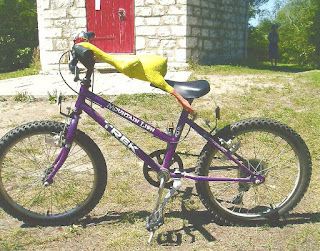 I have seen Quakers in Southern Florida, Brooklyn and even Brussels, Belgium. If you don’t believe me, check out the You Tube videos. Look at the time! Gotta fly. I promised Kirby that I would meet up with him and some chicks tonight. 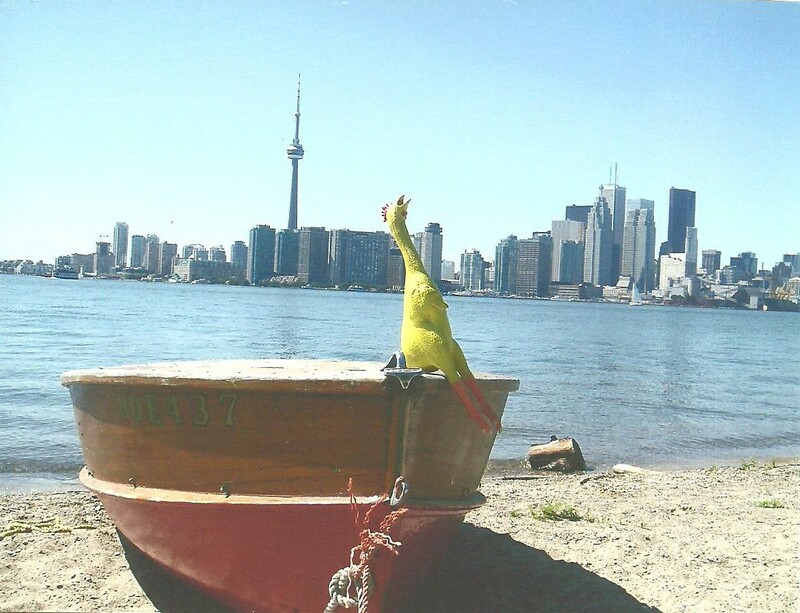 Ontario is really something to crow about in the Summer. 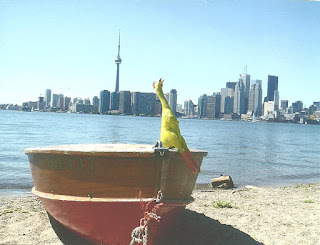 One of my favourite places to go is the Toronto Islands. There is soooo much to do. Half the fun is arriving on the ferry. 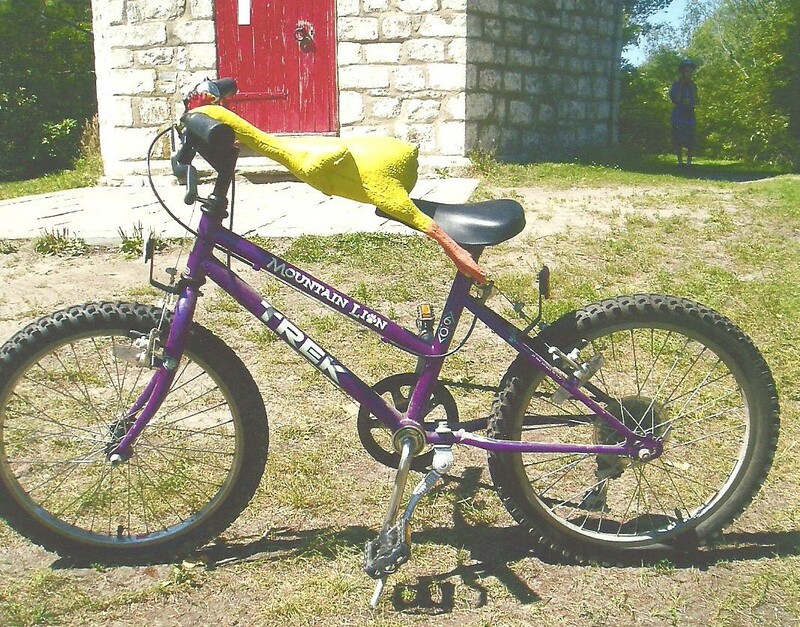 I love to ride my bike around the islands and usually hang out at the beach for a while then check out the haunted lighthouse on Gibraltar Point. There’s even a bird sanctuary nearby and lots of Canadian Geese. (Whatever they eat, sure makes them poop a lot). It’s always fun to go to Centreville and ride the roller coaster and swan boats before checking in on a few of my relatives at the farm. One of the coolest things is the view of the city from the island or watching the planes take off from the airport. The Islands are a great place with an interesting history, but don’t take my word for it. Check out these two videos on the island’s past and the islands today. Gotta fly now. I’m off to meet a few ducks at the Wards Island ferry dock.